Roxy Jacenko's house has sold for $8 million. Take a peek. 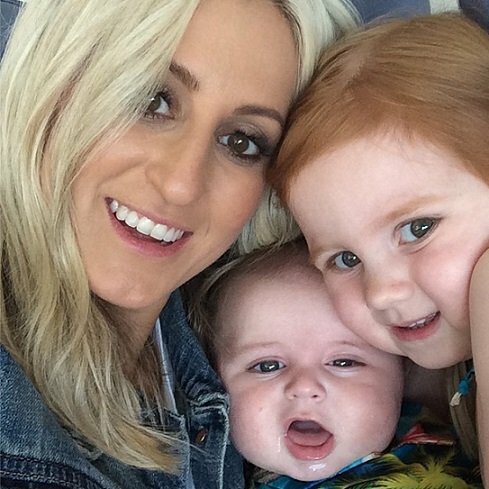 Roxy Jacenko's Sydney home just sold for $8 million. And we have all the photos. 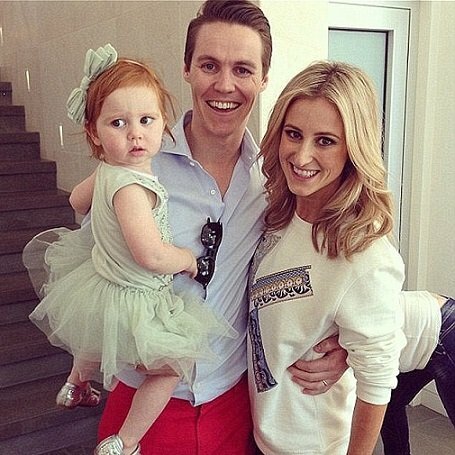 Sydney PR guru Roxy Jacenko, 33, and her stockbroker husband, Oliver Curtis, have sold their trophy Woollahra residence for over $8 million. The high profile couple purchased the family home for $6.6 million back in 2011. It was newly built, so to put their personal stamp on it they enlisted the help of interior designer Blainey North. Roxy with husband Oliver and daughter Pixie. The exquisite 4 bedroom, 3 bathroom home is located on a quiet cul-de-sac, facing vast parkland and features a pool, media room luxury and leafy views. The Sydney home oozes a combination of glass, natural stone and rich timbers, offering a sleek yet laid back appeal, with an indoor outdoor flow. Click through the gallery below for pictures of Roxy’s incredible house. The pool. Image via realestate.com.au. The bottom staircase. Image via Di Jones Real Estate. The exterior. Image via realestate.com.au. The outdoor area. Image via realestate.com.au. The dining area. Image via realestate.com.au. The living area. Image via realestate.com.au. The living area. Image via Di Jones Real Estate. The timber and glass staircase. Image via Di Jones Real Estate. The bathroom. Image via Di Jones Real Estate. The outdoor area at night. Image via Di Jones Real Estate. This article originally appeared on iVillage Australia and has been republished here with full permission.